This summer is killing, isn't it? And the last thing we want is to slather ourselves with unnecessary products. But well bring girls, makeup is one of those things we can't live without. And there are those which are ESSENTIALS this year, whether because they are the IN or our absolute requirement. Read on to know about seven of MY Summer Must-Haves. A tinted moisturiser or a BB cream is a must-have for this hot and humid season. I am sure no one would want to look all cakey and have their foundation get melted. Leave all that full coverage for weddings and occasions and opt for the natural dewy finish of a tinted moisturiser. I particularly like Liz Earle’s Sheer Skin Tint because of its light coverage and SPF 15. To me in summer, glosses look icky and creamy lipsticks feel heavy. Matte finishes are however fine. 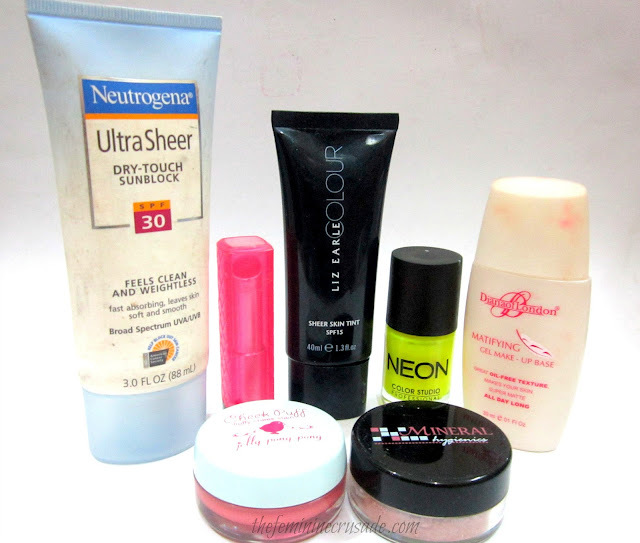 But better than those is these lip butters, super-moisturising, weightless and available in so many gorgeous shades. To achieve that rosy flush on the cheeks and make it look a part of you, no one can do that job better than a cream blush. 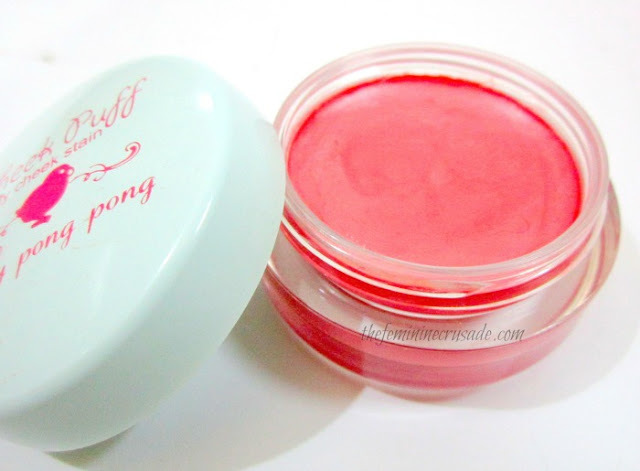 Jelly Pong Pong’s Cheek Puff in Fluff is a beautiful rosy pink shade that gives a slight tint and glow. Neon nail colours are THE TREND this season. And all us beauty bloggers and beauty lovers love to stay in the loop. If you don’t own at least a neon polish, it’s time you go ahead and grab one. I am sure we don’t want to miss this neon fun. Available from inexpensive Color Studio Professional to the high-end Illamasqua, neons are everywhere. Greasy face is such a turn-off especially when all our makeup starts to smear. Enter the Diana of London Mattifying Makeup Gel Base and you are all set for at least 6 hours. It is a face primer which you have to apply beneath the foundation after moisturising. Do not even think of hey-ing the cruel sun without a sunblock. If we knew how dangerous sun rays could be we’ll altogether skip going out of the house. Neutrogena sunblock does its job well and is budget-friendly. You are not putting a hole in your pocket while protecting yourself daily. It does feel somewhat heavy on the face but it’s better than all the other oil-generating sunscreens. A perfect sun-kissed look cannot be achieved without a bronzer. It sculpts our face and enhances our features. So do not forget to add it to your daily makeup routine. Well this sums up my summer must-haves! What are yours?